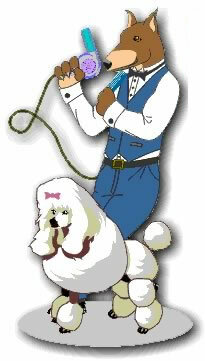 Our dog Cocoa has been visiting Inn-Dog-Neat-O for the past six years for her regular clipping and grooming. With Laura's talent and calmness she is put to work with the challenge to perform miracles. Cocoa always comes out smelling lovely and always has a ribbon in her ears or around her neck, to make her look her best. Cocoa is never distraught or scared when we pick her up. She leaves with a wagging tail and we receive her with the same if not more love. Inn-Dog-Neat-O is the place for all dogs to go! And you will leave with a smile knowing your beloved pet is in good hands and your pet will come home with a big smile too! Thanks, from the Pooli Family! 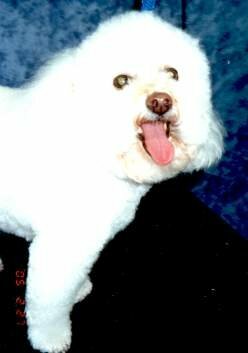 I am thrilled to finally find a groomer who will groom my dog the way I have requested and peace of mind knowing that he is take care of with caring / loving hands. Thanks, Laura, you're awesome! 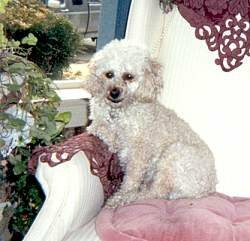 Brock Ollie, my purebred apricot toy poodle, and I have been clients of Laura Hawkes for just over four years. Laura does an excellent job of grooming Brocki, not always an easy job as he has an unpredictable attitude. We want to thank you for grooming Storm. You did a great job. He has never looked so good. We know that grooming a 140 lb. 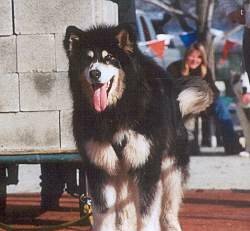 long haired malamute is not an easy task. 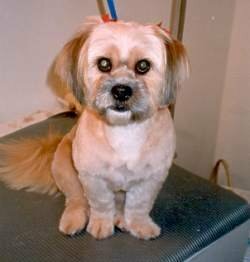 We have had other groomers refuse to do him because of the work involved. Your attitude was top drawer. We are grateful and will see you in the spring.